Kennett National Bank's John Patton (right) presents Kennett quarter back Adam Grantham with a football. Grantham was selected as the Player of the Game in Kennett's Week 2 contest against Caruthersville. Kennett National Bank's John Patton (right) presents Kennett running back Darius Warren with a football. Warren was selected as the Player of the Game in Kennett's Week 1 contest against Charleston and Week 3 contest against Gosnell, Ark. 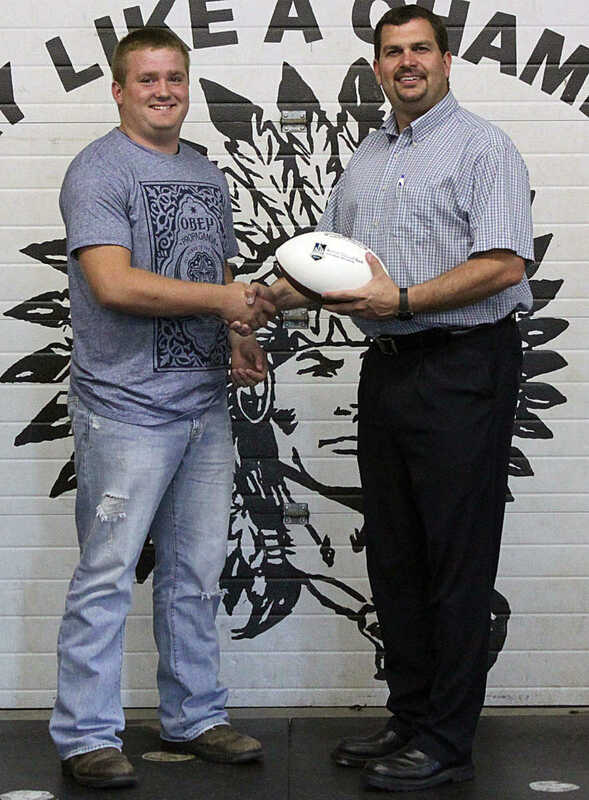 Kennett National Bank's John Patton (right) presents Kennett full-back Logan Dollins with a football. Dollins was selected as the Player of the Game in Kennett's Week 5 contest against Portageville. Kennett National Bank's William Mowrer (right) presents Kennett quarterback Adam Grantham with a football. Grantham was selected as the Player of the Game in Kennett's Week 6 football contest against Malden. Kennett National Bank's John Patton (right) presents receiver Cameron Harper with a football. Harper was selected as the Player of the Game in Kennett's Week 6 contest against Sikeston. Kennett National Bank's John Patton (right) presents Kennett quarterback Adam Grantham with a football. Grantham was selected as the Player of the Game in Kennett's Week 8 contest against Dexter. It was the third time Grantham has been selected as the Player of the Game in 2011. Kennett National Bank's John Patton (right) presents Kennett receiver Antavies Drake with a football. Drake was selected as the Player of the Game in Kennett's Week 9 contest against Fredericktown. 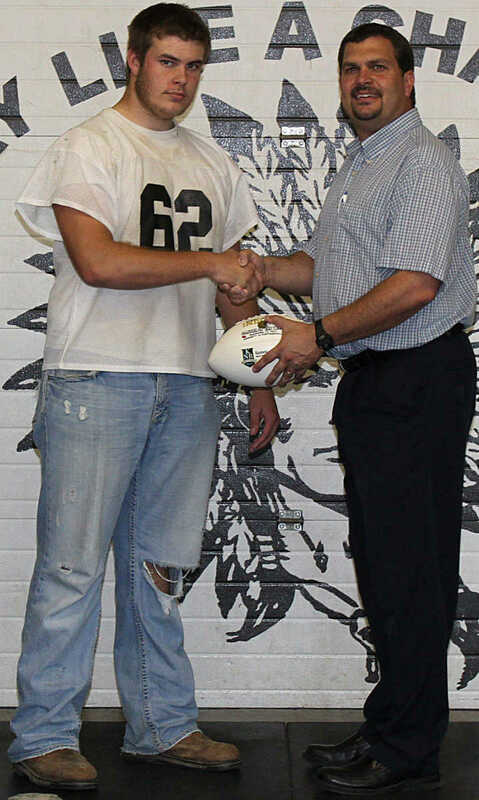 Kennett National Bank's John Patton (right) presents Kennett lineman Chad Stanley with a football. Stanley was selected as the Player of the Game in Kennett's Week 10 contest against New Madrid County Central.